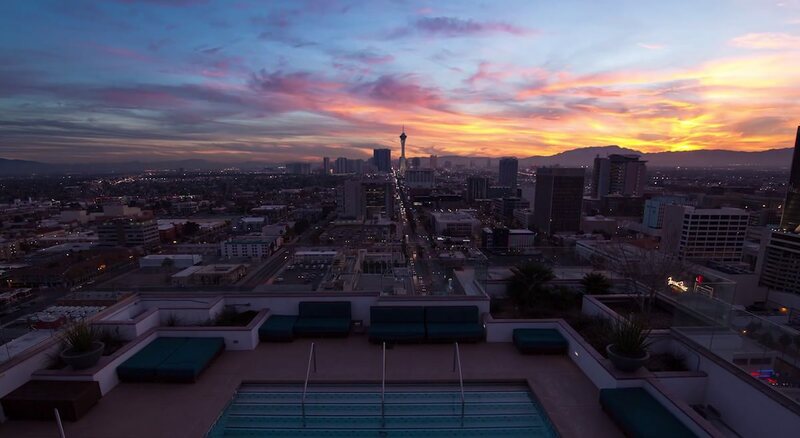 It’s being hailed the Renaissance of Downtown Las Vegas, as an area long overshadowed by The Strip emerges as a vibrant neighborhood for sophisticated city life as well as a must-see destination. Travel & Leisure selected Las Vegas for its Best Places to Travel in 2015 list, with the focus on Downtown, while the Independent Travel section shined an international spotlight on the neighborhood with its piece, “Las Vegas: Skip the Strip and Go Downtown.” The pedestrian friendly Fremont East District now offers an eclectic mix of restaurants, independent boutiques, a burgeoning arts scene and a lively nightlife, having become a place to spend all day and all night, without stepping foot on the strip. Downtown has also become a place to call home, with The Ogden offering the perfect work/play balance in the heart of the city. 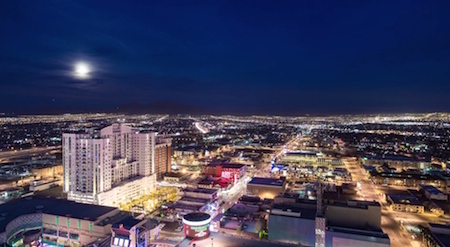 The revitalization really took off three years ago when The Downtown Project set out to make Downtown Las Vegas a place of artistic and architectural inspiration, to attract an entrepreneurial spirit and lead the way in innovation. It invested in several small businesses, eateries and boutiques, drawing top chefs, musicians and artists who are igniting a truly inspiring, metropolitan culture. It renovated the historic Oasis at Gold Spike Hotel, creating downtown’s first non-gambling hotel, with Crash Pads, as they’re called, full of retro flair and personality. Coffee shops exude a trendy vibe, like The Beat Café, which features an extensive collection of albums on vinyl. A theatre and multi-venue complex, Inspire, features the News Café, a 150-seat theater, a rooftop bar and beer garden. A collection of hot spots, like the newly renovated Bunkhouse Saloon and Banger Brewing, serve cocktails and craft brewed beer, just a short walk from some of the city’s finest gourmet restaurants. Downtown also offers a break from endless Vegas shopping malls with Container Park, a collection of independent boutiques housed in stacked shipping containers situated around a central green, where Sheryl Crow has stopped by for an impromptu performance. Nearby in the Arts District, Antique Alley offers a look at vintage Vegas, with 20 or so antique shops. Attracting young, professional crowds are dozens of creative work spaces, like Work in Progress, as well as homeownership opportunities in the heart of Downtown. Leading the way in the housing revitalization is The Ogden, offering modern, luxurious condominium residences, countless lifestyle amenities and a vast selection of personalized services. The Ogden features one to three-bedroom residences with bright, open floor plans, exquisite design finishes, and floor to ceiling windows that frame magnificent views of Downtown, The Strip and the surrounding Red Rock Canyon. The Ogden’s services and amenities have been thoughtfully designed equally for entertainment and relaxation featuring the Sky Deck, with rooftop pool and summer kitchen, a Clubhouse on the 16th floor, the ideal meeting or intimate event space, plus a private fitness center, 24-hour onsite pet park and flavorful dining options at ground-floor restaurants including Rachel’s Kitchen. The Ogden is redefining urban living in the heart of the new Downtown, where an authentically vibrant lifestyle continues its swift evolution. With new real estate opportunities and weekly openings of exciting new restaurants, businesses and retailers, it’s no wonder 2015 is being hailed as “The Year of Downtown Las Vegas”. For more information about The Ogden, call 702.478.4700 to speak with a Condominium Specialist today.